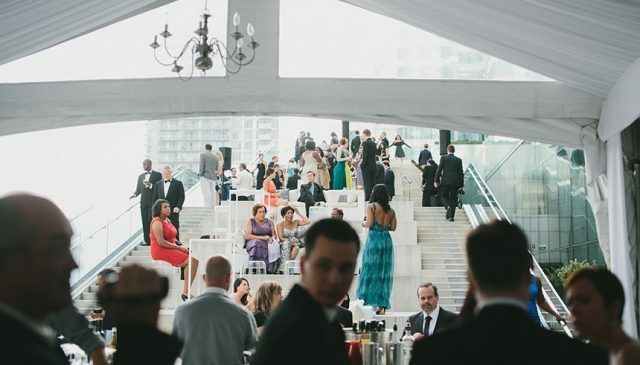 Malaparte is a spectacular event space on the 6th floor at TIFF Bell Lightbox, in the heart of Toronto’s Entertainment District. The rooftop terrace and outdoor amphitheatre is reminiscent of the roof of Villa Malaparte in Capri where Jean-Luc Godard shot Le Mépris. 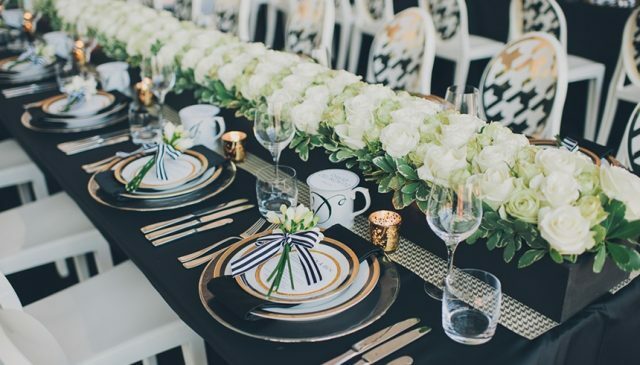 Sophisticated textures, shimmer and elegance, make it perfect for exclusive private events and star-studded soirées. 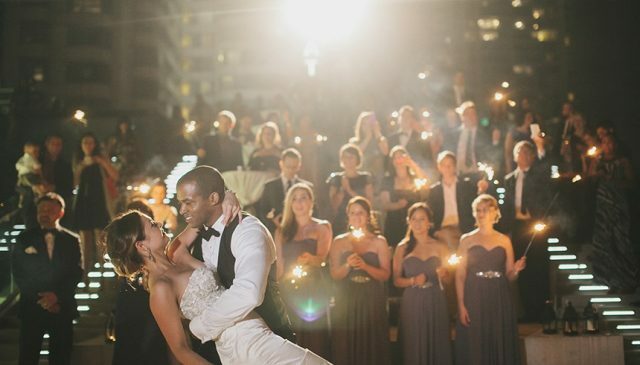 Malaparte exhibits dramatic backdrops of the city, as well as a rare rooftop reception space. 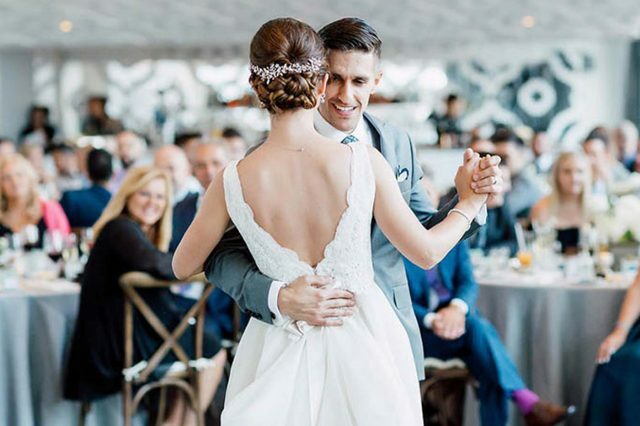 Shannon and Matthew were married with 100 friends & family gathered for the ceremony held under the grand terrace tent. 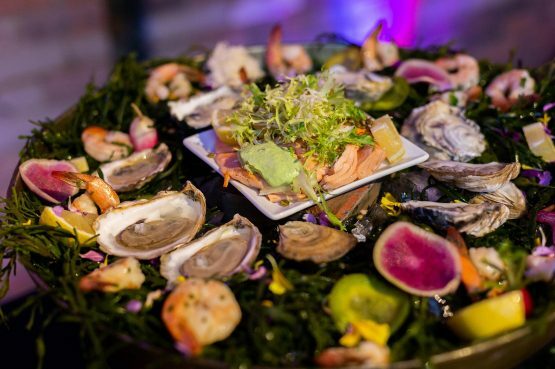 Explore some of our curated packages below, or work with our Event Specialists to create a custom menu for your event. Please click to view our Rooftop Terrace Menu Package PDF. Malaparte is a sophisticated venue for your ceremony and reception, featuring both indoor and outdoor spaces. Located on the sixth floor of the TIFF Bell Lightbox at King and John, the space provides breathtaking views of the downtown cityscape. 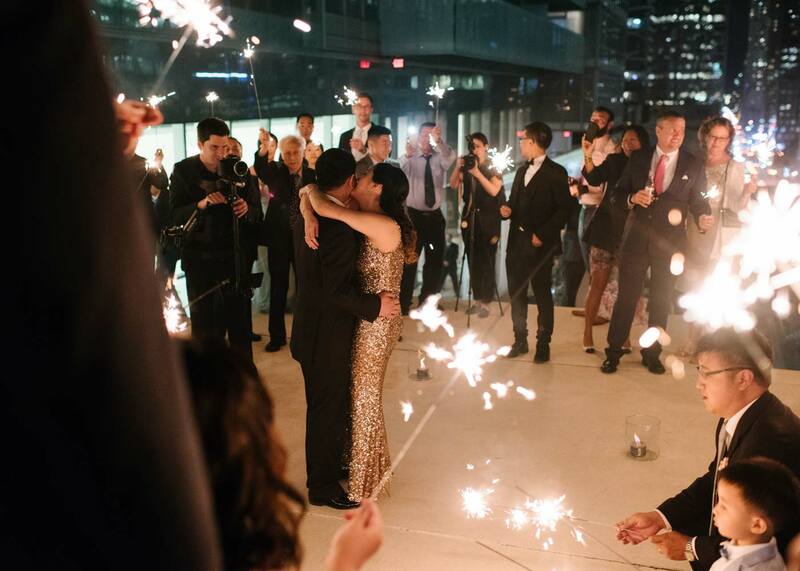 For corporate planners looking to impress, there are few more striking venues than Malaparte. 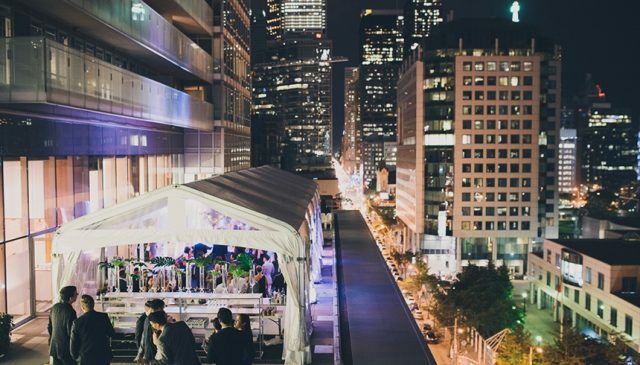 From stylish product launches to large-scale galas, our event space in the heart of Toronto’s Entertainment District is an ideal venue for all types of corporate events. 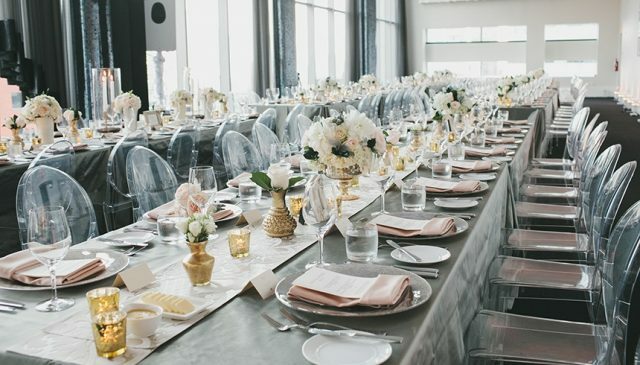 Whether you are planning an intimate engagement party, or a blow-out birthday bash, our team at Malaparte will work with you to create a mouth-watering and memorable experience for your guests. 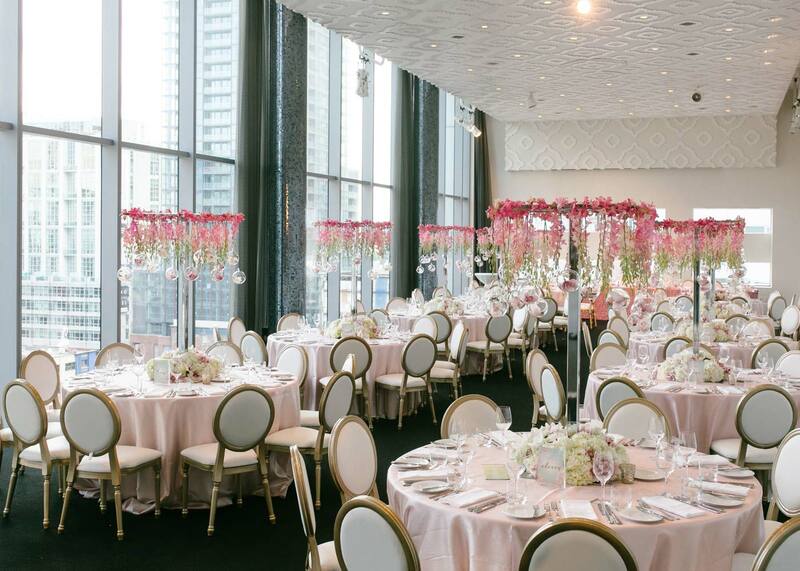 Malaparte can accommodate up to 150 for a seated event or 200 for a standing cocktail reception. Use of Malaparte is subject to a rental fee plus a minimum spend requirement for food and beverage. If the minimum spend requirement is not met, the difference appears as an extra room rental fee on your final bill. Please see the event package for the minimum spend breakdown. “Pay and Display” is available underground in the TIFF Bell Lightbox parkade. The entrance is off Widmer Street, which can be accessed from both Adelaide Street or King Street West. A floor manager will be available as your direct onsite contact on the day of your event. 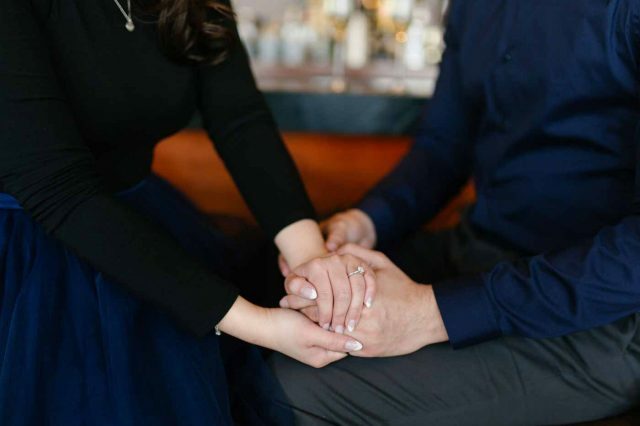 Speak to our Event Specialists about our All-Inclusive Wedding Packages, and rates during the off-season.